Now open and continuing through September 14 is a major exhibition of work by ten artists (or teams of artists) at the Second Life portion of the 17th Bienal de Cerveira, organized by the Cerveira Biennial Foundation in Portugal. 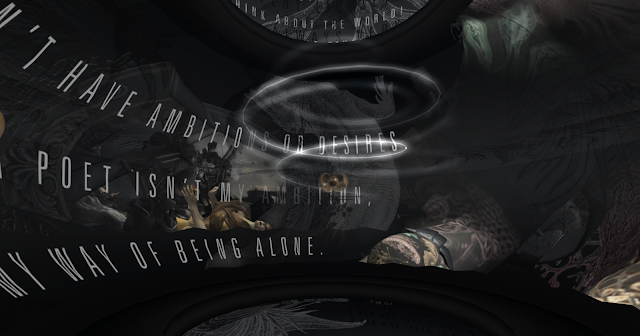 Covering the entire sim, as well as in the air, are works by Alpha Auer (a.k.a. Elif Ayiter) (of alpha.tribe), Bryn Oh, CEELeste Serra, Eupalinos Ugajin, Holala Alter, Kikas Babenko & Marmaduke Arado, Patrick Moya, Maya Paris, meilo Minotaur & CapCat Ragu, and Osederatus Haven. In real life, a display room at the Bineal in Portugal will broadcast images from several sims in Second Life (including the exhibition sim, Immersiva and others), and visitors will be able to use any of three avatars to explore on their own. 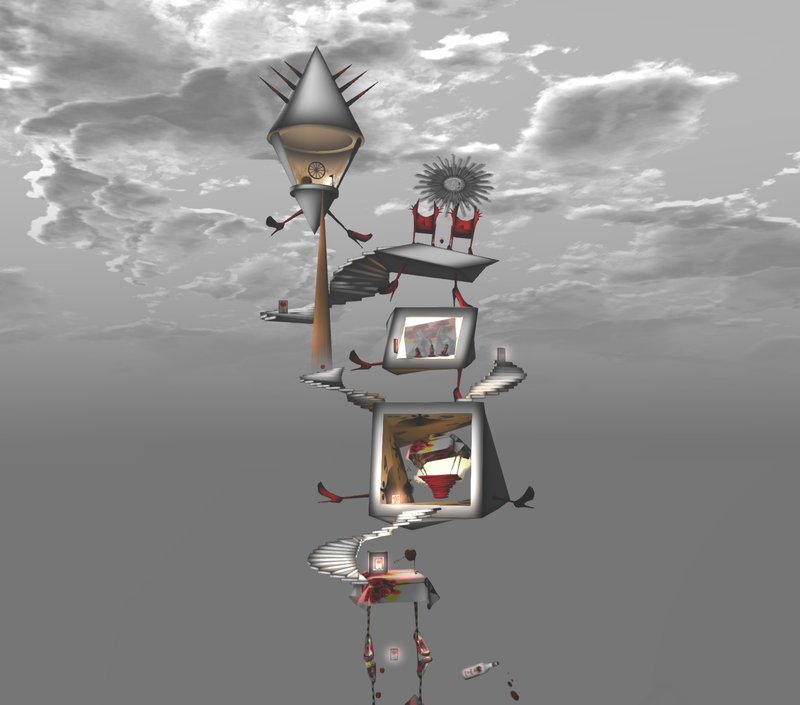 It's an impressive attempt to introduce the arts in Second Life to serious artists who may not be familiar with virtual worlds. More information on the Bienal is available on its website. Among the more interesting of the works are Maya Paris's installation (a name for which I don't see), filled with clever interactive elements and free objects (top image); Bryn Oh's partial restaging of Virginia Alone, which will keep you busy for a while reading correspondence littered on the floor (lowest image); the lovely Hommage a Pessoa by Alpha Auer (second image); Eupalinos Ugajin's enormous structure; and the playful and funny work of Kikas Babenko & Marmaduke Arado (third image), all presented on a delightful structure created by designer Medy Spore. Very cool! We need more of this type of interaction, Second Life /First Life! Great post, great shots, Ziki! A belated thanks, Lizzie and Praline!